Please note that the content of this book primarily consists of articles available from Wikipedia or other free sources online. 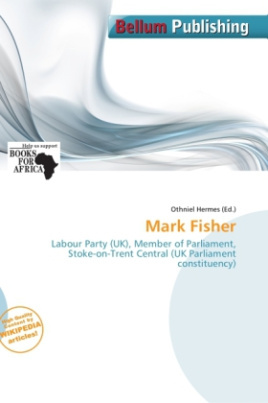 Mark Fisher (born 29 October 1944) is a British Labour Party politician. He was the Member of Parliament (MP) for Stoke-on-Trent Central from 1983 to 2010, and also spent a short time as Minister for the Arts. A backbencher, he was one of the more rebellious Old Labour MPs, as opposed to the New Labour flank. Despite being an Old Etonian from a privileged background, Fisher became a Labour MP, elected during Michael Foot's time as Labour Party leader. Before going into politics he was active in the film industry and the education sector.